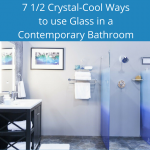 Okay – so you may be aware of using glass blocks for showers, windows, walls or even crafts – but this versatile material has uses which seem to only be limited by your imagination. 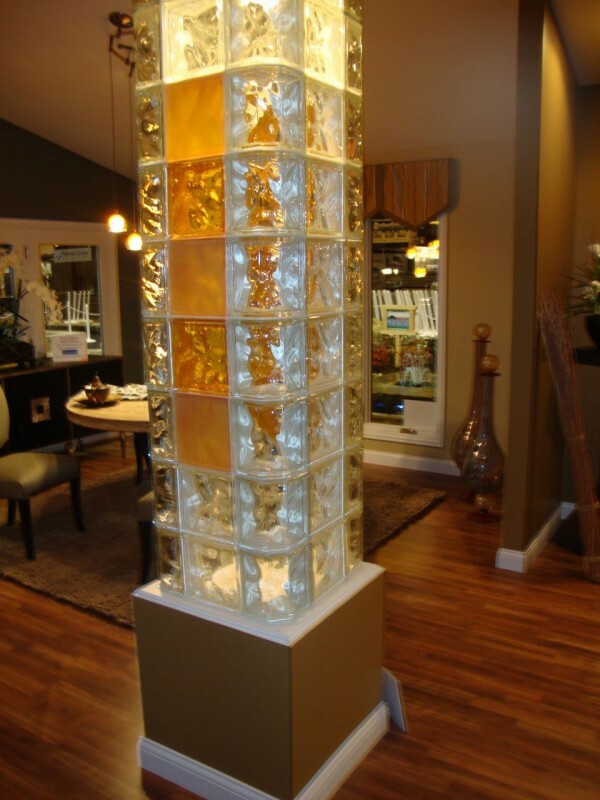 In the article below I’ll showcase 5 distinctive glass block applications (including an ice bar, decorative column, front porch railing, flooring system and even a laundry room backsplash) to show just some of the possibilities. · Project 1 – Glass block ice bar – Ice bars can serve the dual purpose of keeping drinks cold and providing an eye-catching display for potential customers. 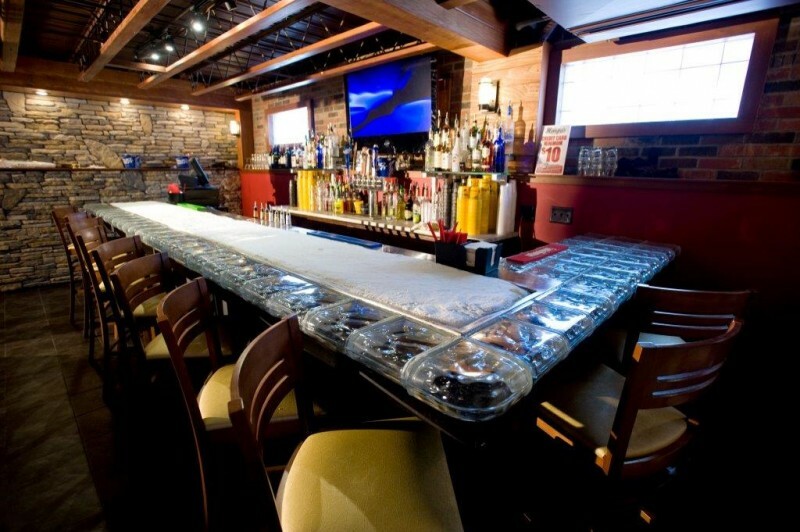 This particular ice bar added finished and curved glass blocks on the horizontal surface to continue the “cool” theme beyond the ice. 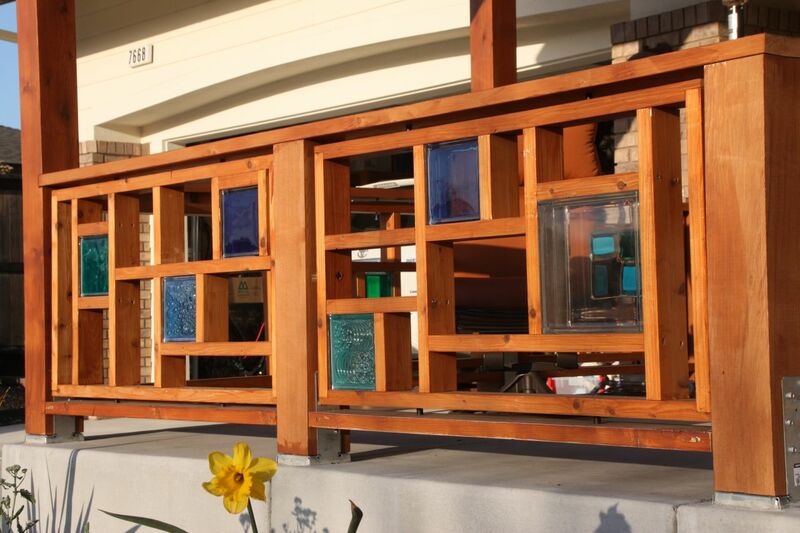 · Project 3 – Art deco inspired front porch railing – Using different sizes, colors, textures and even fused glass tile blocks this California home has a one of a kind façade. · Project 4 – Glass block flooring system – Whether you’ve got a multi-level loft or are designing a mall or art gallery – there are many cases where moving natural light from one floor level to another (while maintaining privacy) can add value and improve function. These benefits can be realized through the addition of glass floor blocks – which add more light to a lower level and a cool sense of style. · Project 5 – Laundry room glass block backsplash – Laundry rooms (while not the most fun room in the house to hang out) can also have the drawback of being dark and dingy. 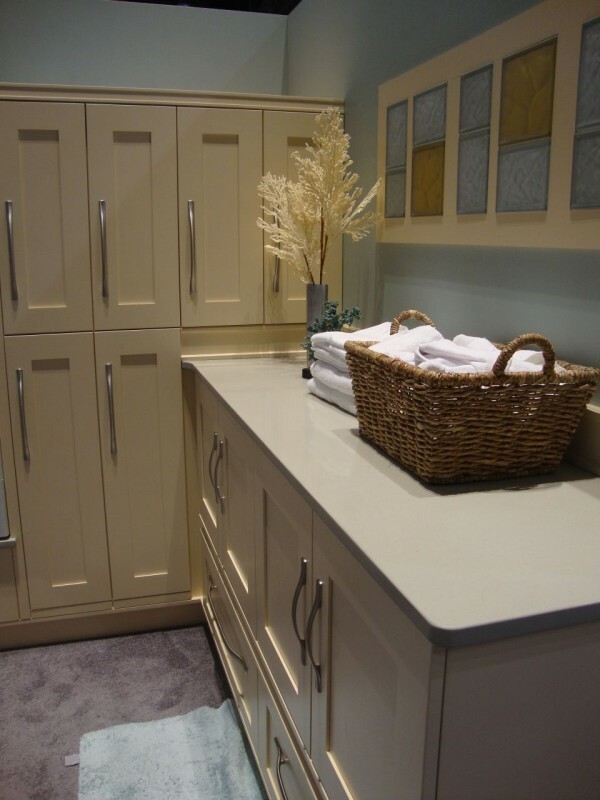 This laundry space was brightened up with the use of a light-transmitting colored and frosted glass block backsplash. 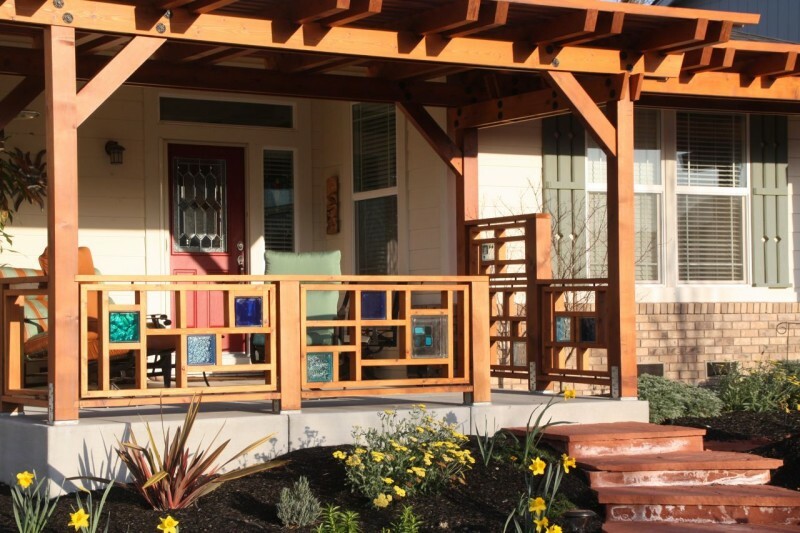 Which of these 5 projects do you like the best? Please comment below or call us with questions on how to do these unique projects (or a unique creation of your own! ).